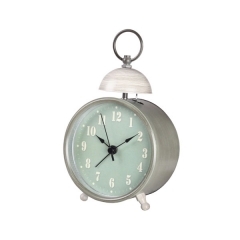 Full of vintage charm and character, these double bell alarm clocks evoke throwback memories of nostalgia. 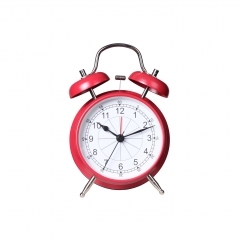 Go back in time to channel your inner connoisseur. 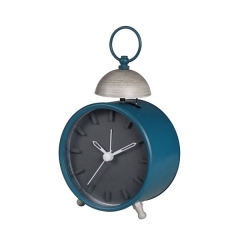 Designed to imitate the allure of vintage timepieces from decades past, the old fashioned alarm clock is a retro remake that will have you doing a double take. Wake up and smell the coffee! 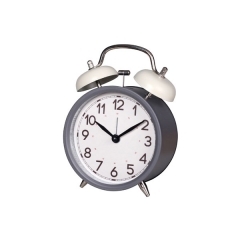 Made out of metal, fitted with stabilizing feet and stylishly elevated with a single alarm bell on top, our battery-operated custom alarm clock is an embodiment of retro nostalgia. 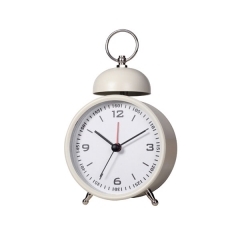 Featuring a single alarm bell and created to embody the simplicity of contemporary captivation, this metal desktop alarm clock is obscurely creative and uniquely decorative. 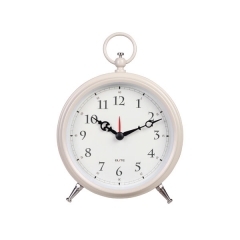 A swanky font lends a touch of sophisticated elegance to the nostalgic design of this battery-operated silent alarm clock. 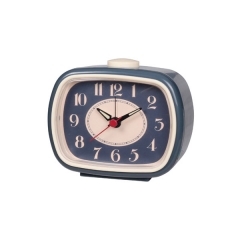 Designed to decoratively replicate the nostalgia of the 1950's, this retro alarm clock is ready to rock! 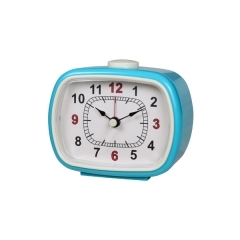 Retro pocket desk alarm clock with easy-to-read dial design, brings a fresh accent to your home or office. 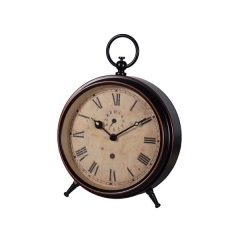 A desk antique decorative alarm clock, antique style of the casing, clock face and bells, along with brush finishing, restored ancient design.